Florens suits many different interior styles, especially those with a modern touch. 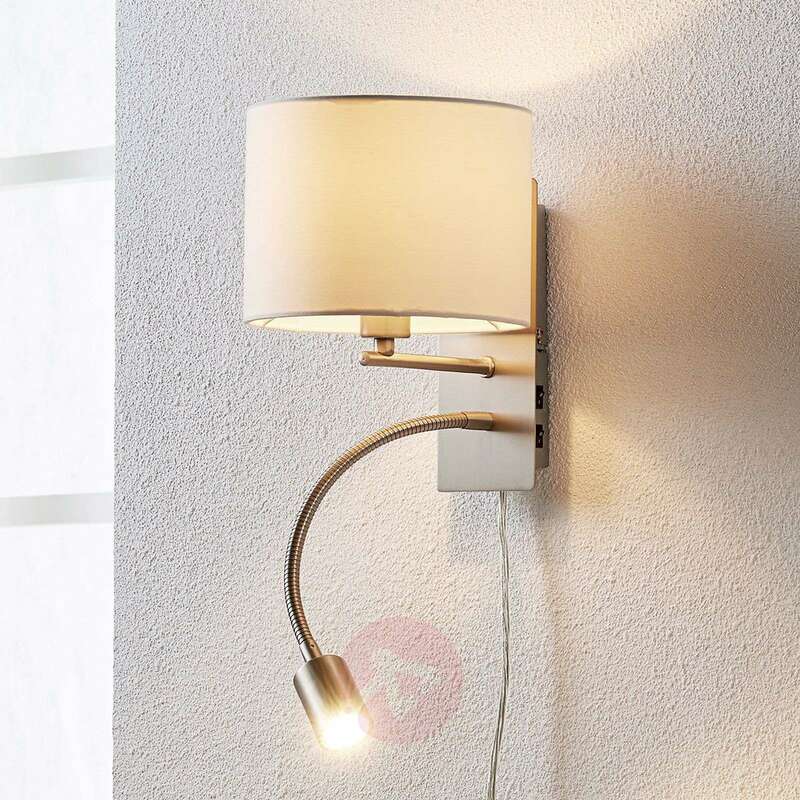 The cylindrical lampshade is made of white fabric and dominates the overall appearance of the fabric wall lamp. 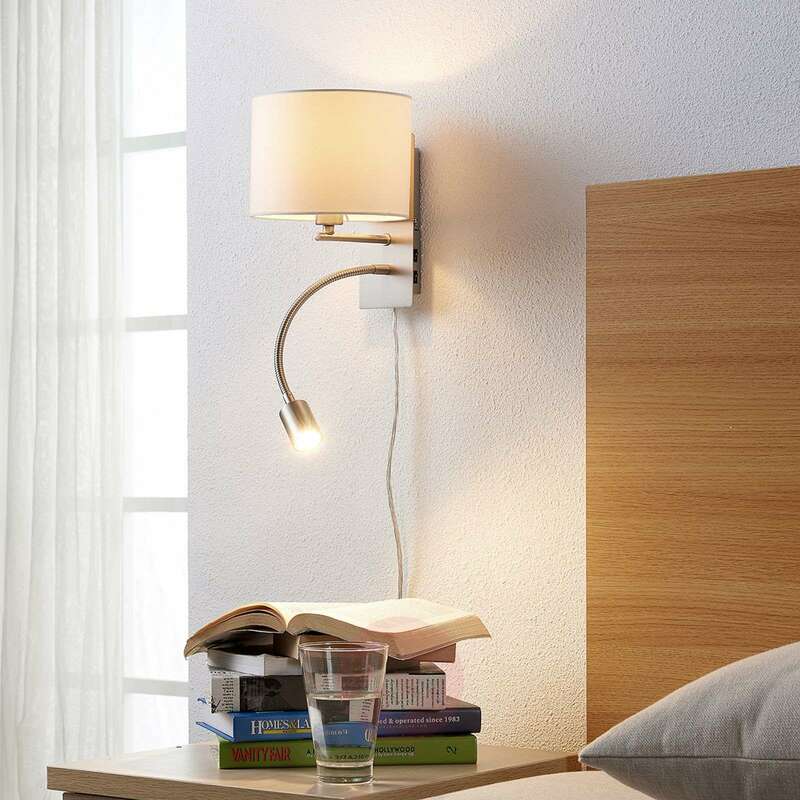 The light source concealed behind it is not the wall lamp's only light source as a practical LED reading light is connected to the frame via a flexible arm. 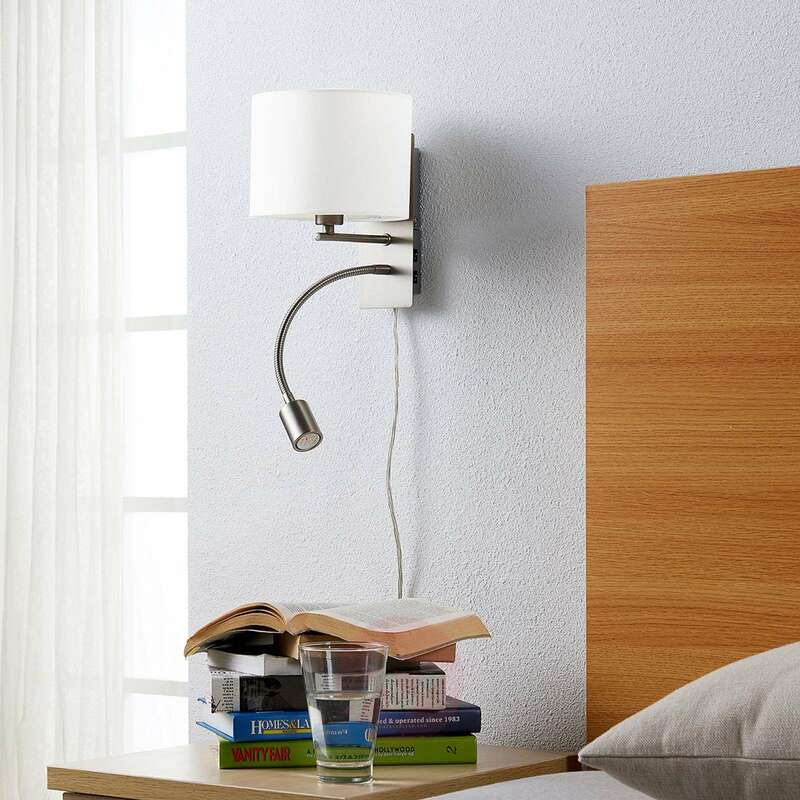 This design allows greater flexibility when reading as the light can be accurately positioned. 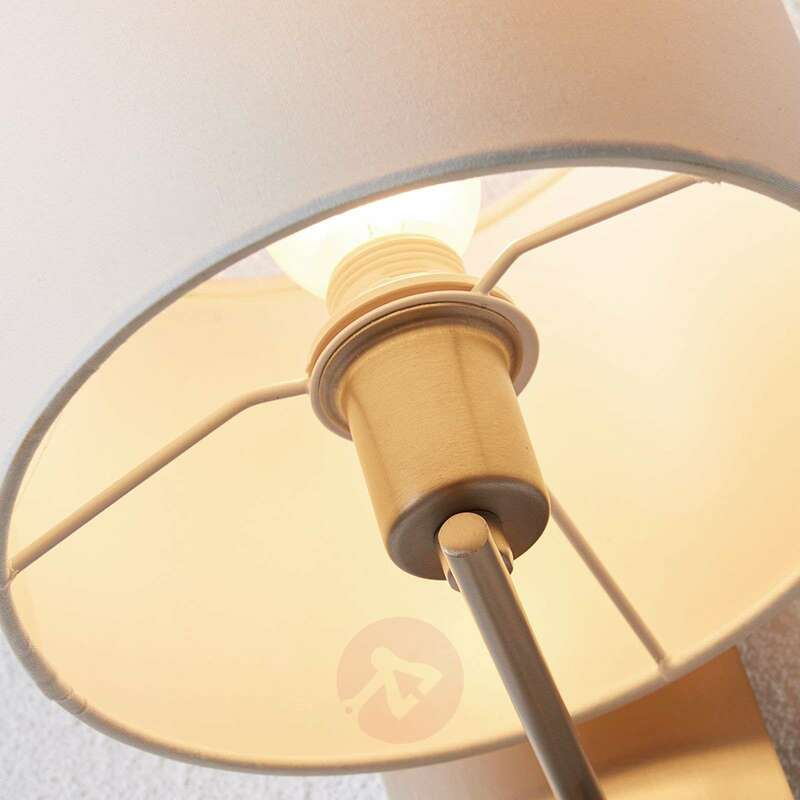 Besides the targeted light, Floren also provides cosy relaxing light as the fabric lampshade distributes the light warmly and evenly. 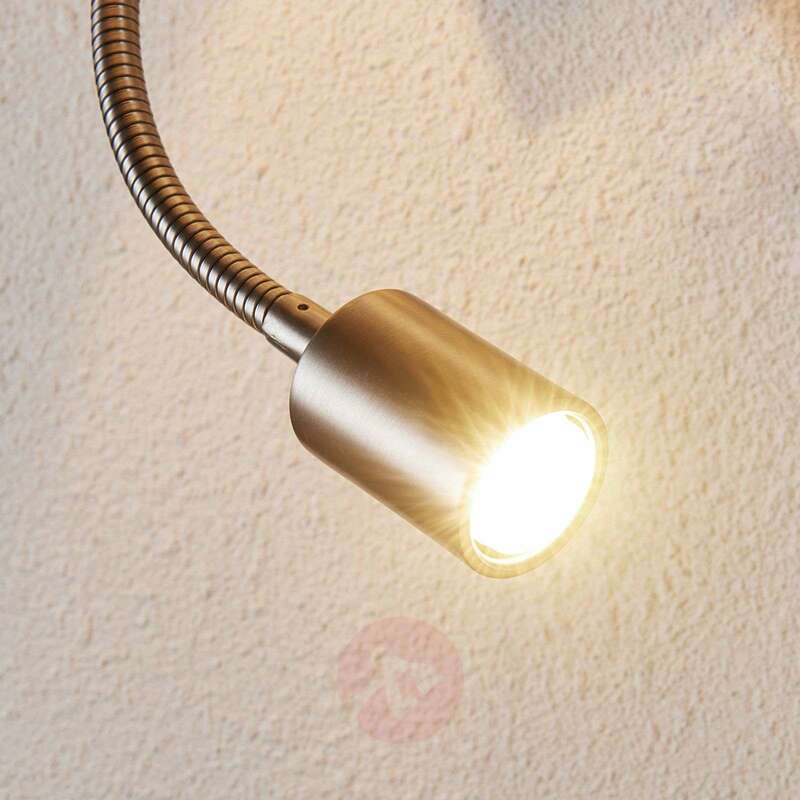 The two light sources can be turned on and off separately from one another. 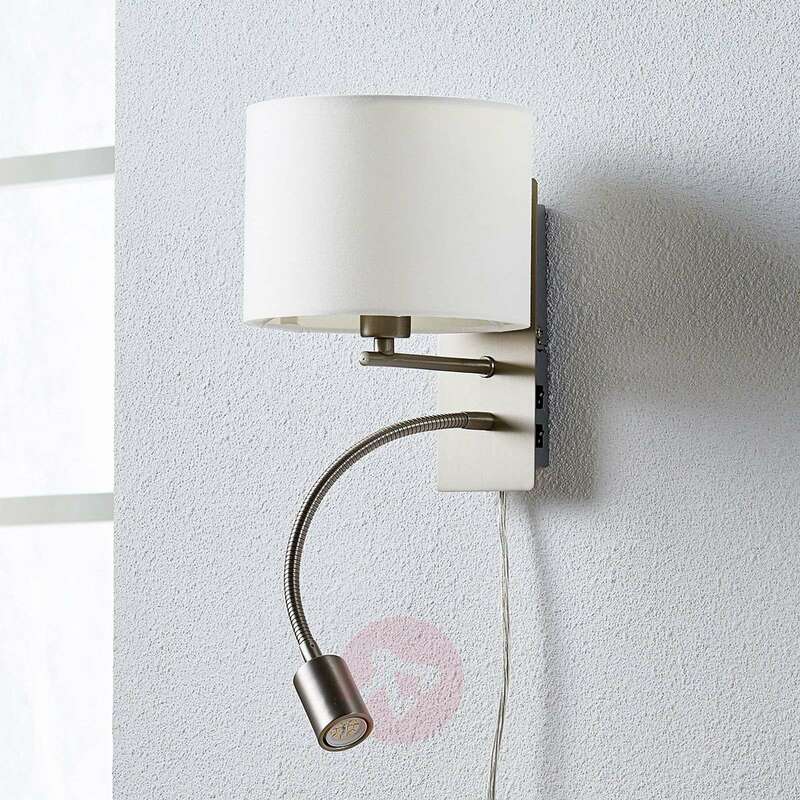 The fabric wall lamp comes with a 180 cm long power cable with plug. 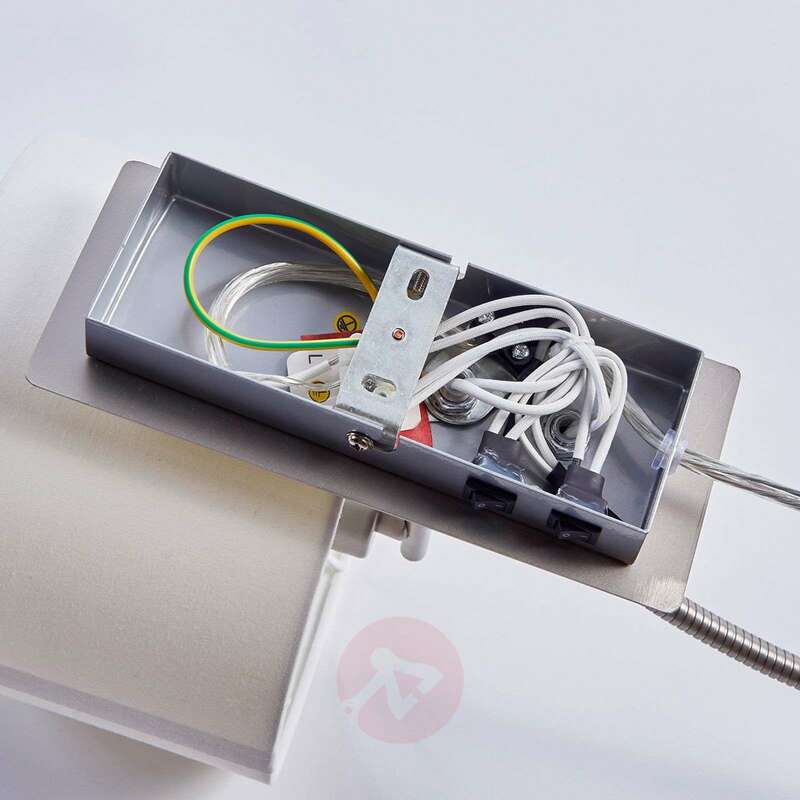 Unfortunately the light fitting only comes with the switched located on one side. 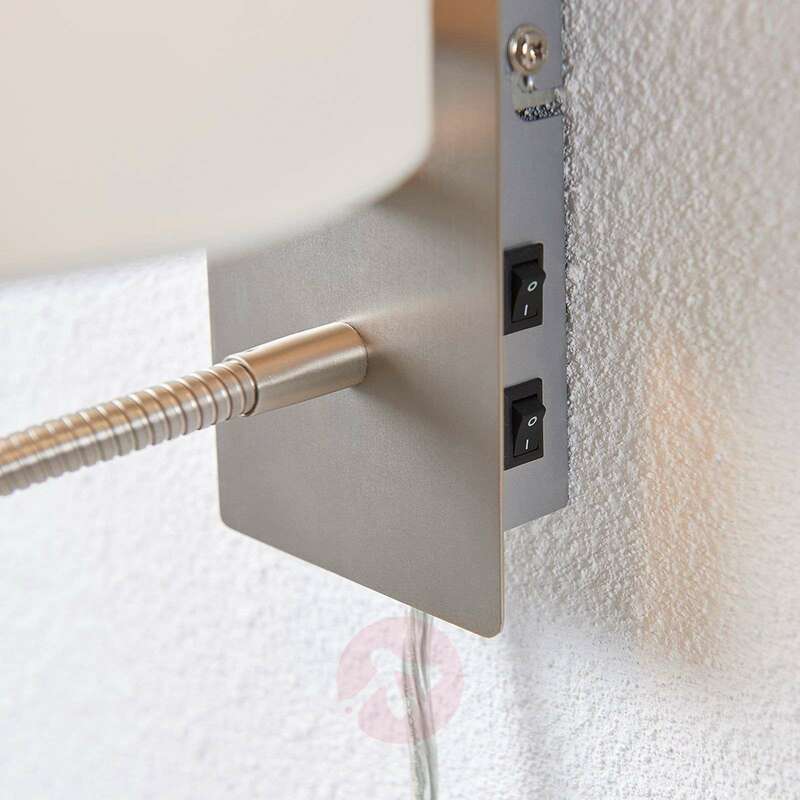 It is not possible to have the option of either a left or right hand switch.